Bija Bhar makes tasty and innovative organic superfood products that address modern needs with nutritional wisdom from around the world. Their snacks and beverages bridge the divide between healthy & tasty! Bija is Sanskrit for seed or the root/source of things. A well balanced, nutritious diet is critical but can be difficult to manage. The nutrient rich ingredients in all of Bija Bhar's convenient, healthy, and delicious products can help fulfill all the potential in our busy lives. 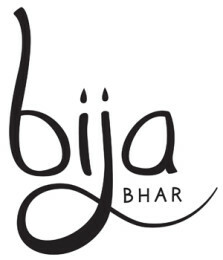 At Bija Bhar, they believe that when you use quality ingredients in balance, the results should be delicious. All their products are handmade in small batches in Brooklyn, NY.